1. The Gulfstream G280 is the smallest and most affordable aircraft in the company’s lineup. 2. It’s also often overshadowed by its bigger and more glamorous stablemates like the G650ER. 3. The G280 is a super-midsize jet competes with the Embraer Legacy 500, Bombardier Challenger 350, and the Cessna Citation X+. 4. The G280 can carry as many as 10 passengers with a range of up to 4,100 miles. 5. The Israeli-built G280 costs $24.5 million. 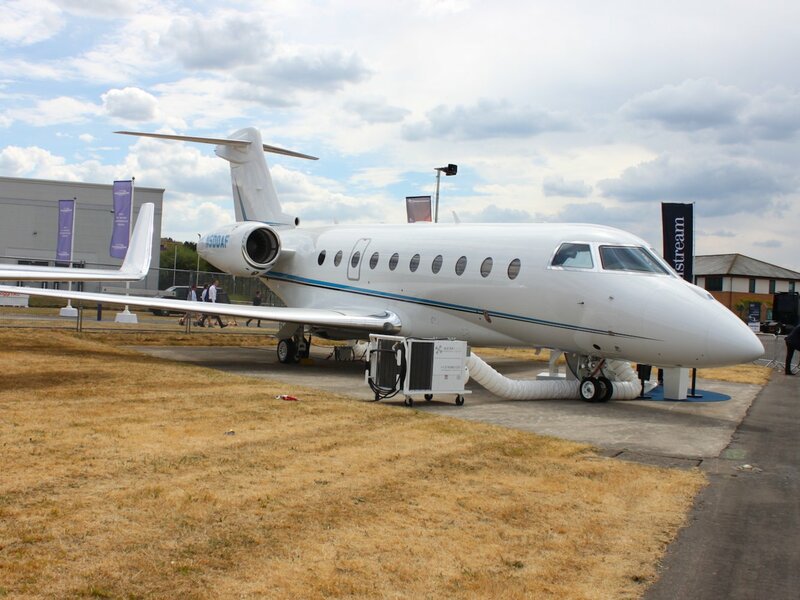 At the recently concluded 2018 Farnborough International Airshow, Gulfstream showed off the heart of its lineup complete with the all of the company’s heavy hitters like the $70 million G650ER and the next generation G600. Also on the display is the G280. Being the smallest member of the clan, it’s in effect the “Baby Gulfstream.” Officially, the G280, which entered service in 2012, is Gulfstream’s entry-level product. It seems that in every family, there always a member who gets overlooked and the G280 is it for Gulfstream. While it’s easy to be bowled over by the imposing figure of the G650ER or high tech stylings of the G600, you shouldn’t underestimate the G280. “The G280 will fly anywhere in the US nonstop, against any type of winds at any time of year,” Neal added. Unlike the big jets, the G280 is not built at Gulfstream headquarters in Savannah, Georgia. Instead, it’s assembled for Gulfstream under license by Israel Aerospace Industries. Once airworthy, the aircraft is then flown to one of Gulfstream’s US facilities where its customer interior is fitted. We got a chance to take a guided tour of the plane at the Farnborough Airshow. Here’s a closer look at the Gulfstream G280. Sitting at the far edge of Gulfstream’s Farnborough showcase is the G280. Let’s take a look inside. In case you’re wondering, the white ducts pipe in cold air from ground-based air conditioners. As you enter the aircraft, you are greeted by the plane’s galley complete with stone countertops. Turn to the right and you’ll enter the G280’s cabin. Gulfstream offers the cabin in four different seating configurations with room for up to 10 passengers. The G280’s cabin isn’t quite as spacious as its larger siblings, but it’s far from cramped in there. It’s six foot, three inches tall and seven foot, two inches wide. The cabin is also equipped with Gulfstream’s signature oval windows as well as several large entertainment screens. The entire cabin is controlled using an Apple iPod-based digital management system.